Sarah Mae Meredith, 89 , of Metcalf Lane., Hopkinsville, died at 6:50 a.m., on November 19, 2018, at Covington's Convalescent Center of natural causes. Services will be at 11:00 a.m., Monday at Lamb Funeral Home with Rev. Darryl Crawford and Bro. Ron Hicks officiating. Burial will be at Jones Cemetery in Trigg County. Visitation will be from 3:00 until 6:00 p.m., Sunday at the funeral home. A native of Hopkins County, Kentucky. 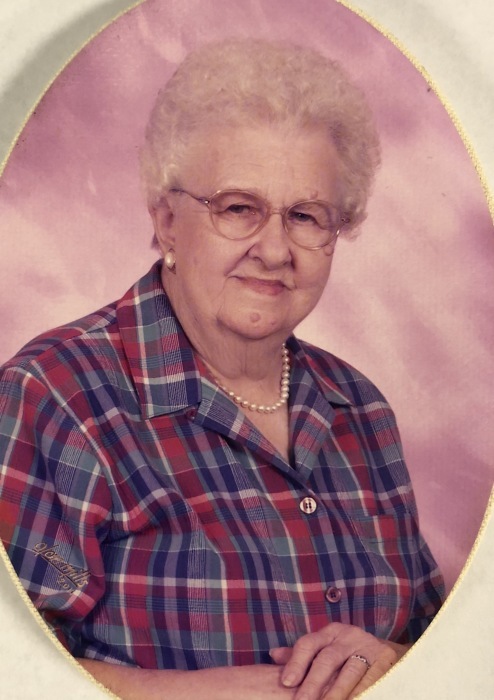 she was born November 25, 1928, the daughter of the late Will Burt and Oda Spurlin Burt, Hopkinsville. Processed in death by her husband James G. Meredith and their son Jerry Meredith. Survivors in addition to her children include sons, James W.Meredith of Cadiz, Kentucky; Ronald Meredith, Larry Meredith, Dell Meredith, John Meredith, and Lindsey Meredith all of Hopkinsville, Kentucky; her daughters Louise Caler, of Hopkinsville, Kentucky,; Mickey ( David ) Gamboe, and Faye ( Keith ) Brumfield of Hopkinsville, Kentucky. ; Kathy ( Greg ) Casebier of Sugarland, Tennessee,; 21 Grandchildren and 32 Great Grandchildren and 4 Great, Great Grandchildren. Memorial Contributions may be made to Living Hope Baptist Church.